In the last tutorial, we mentioned about flow of payment in FreelanceEngine. A smooth payment flow is an important factor in building trust for your site. In this guide, we would like to introduce PayPal Adaptive – one of the most popular payment gateways used by businesses – in Escrow system. So what is PayPal Adaptive and how does it apply in FreelanceEngine? PayPal Adaptive Payments is an international payment gateway. Its service is available in more than 190 countries around the world, offering utter convenience since you can easily make transactions from almost any country. PayPal Adaptive is a trusted 3rd party to handle payments of the Escrow system. This is also the reason why PayPal Adaptive with Escrow system is integrated into FreelanceEngine – our freelance marketplace website. We want to deliver not only the best project bidding theme but also the most user-friendly and safest transaction website. This payment gateway handles payments between a sender and one or more receivers of the payment. You (the website owner) are an application owner. Your application is the caller of Adaptive Payments API operations. 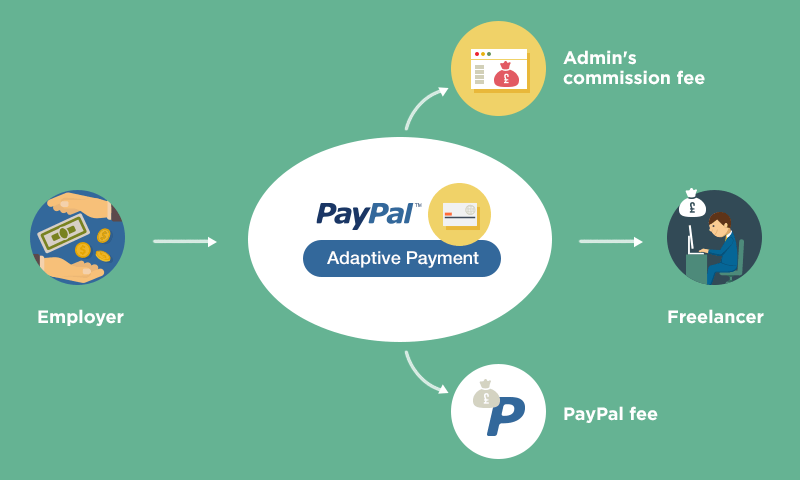 PayPal Adaptive offers 3 kinds of payment: simple, parallel, and chained payments. Simple payment: “1 – 1” model. One single payment is sent to one single receiver. Parallel payment: “1 – 2 → 6” model. One single payment can be sent to multiple receivers. 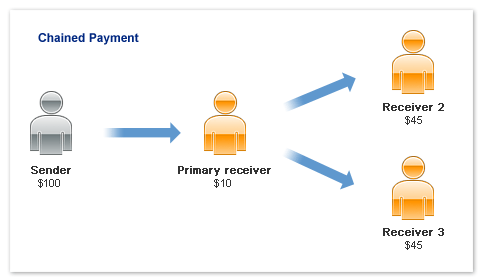 Chained payment: “1 – 1 primary receiver – 1 → 9 secondary receivers” model. One single payment is sent to a primary receiver. The primary receiver then distributes the payment to multiple secondary receivers. Chained payment is the method used in FreelanceEngine. Let’s discuss in details. 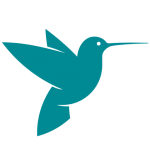 In FreelanceEngine, the sender is the employer, primary receiver is the admin, and secondary receiver is the freelancer (assuming there’s 1 freelancer working for a project at a time). – The employer sends 1 single payment (including commission fee for admin and payment for freelancers) to the admin. – By default, payments to all receivers in a chained payment are immediate. However, you can choose to delay payment to secondary receivers. Therefore, the payment can be withheld while the project is in progress. When the project is completed, the admin takes a portion as commission fee and releases payment to the freelancer. * Note that money is allowed to stay in primary receiver account up to 90 days before being transferred to secondary receivers. Source: PayPal Developer. PayPal fees are not taken into account in the example. The primary receiver receives $100 from the sender. Admin keeps $10 as commission fee and splits the rest $90 to 2 secondary receivers. $45 each for receiver 2 and 3. Chained payment helps simplify the payment process. Payment involving different parties is completed in just one transaction. In FreelanceEngine, go to Engine Settings > Escrow > Gateways to establish settings for PayPal Adaptive Payments. You can choose who bears these fees. Secondary receivers (freelancers) pay all fees. According to PayPal Developer, the application owner must have a PayPal Business account. Senders and receivers can have any PayPal account type. Senders and receivers are not required to have PayPal accounts initially. PayPal prompts a sender to create an account before a payment can be completed. A receiver must create an account to receive the funds after the payment completes. Chained payment in PayPal Adaptive is beneficial for businesses, especially those that require more than direct transaction between buyers and sellers. 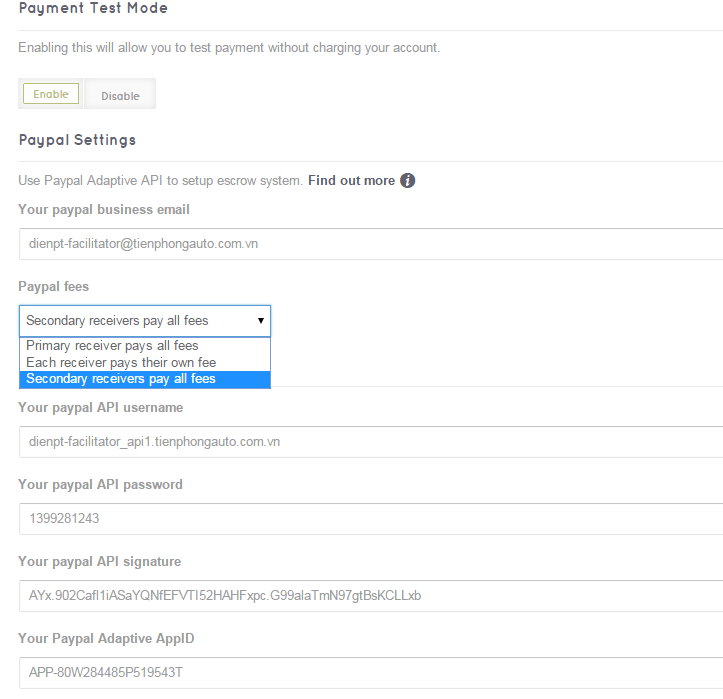 With this guide, I hope you would have an overview of how PayPal Adaptive works and how to make use of Paypal Adaptive Payment API in Escrow system. Thanks so much for this. Really clear. Hi, is this mean after Employer pay the project, the project only have 90 days to complete? Or else, the payment will automatically transfer to freelancer & admin? I have the same question, would this set the maximum limit for a project to be completed to 90 days ? According to PayPal, the PayPal Delayed Chained Payments imposes a 90 day limit for the funds’ release. If a project runs for longer than 90 days, and the funds were not released they will be returned to the buyer (the employer). And it’s would set the maximum limit for a project to be completed as 90 days. Yes this is my concern too !!! As I’ve mentioned in my previous reply, it’s true that the maximum limit for a project to be completed are 90 days. After 90 days, if the project wasn’t complete and the funds were not released then they will be returned to the buyer (the employer). Regarding this, please go to http://forum.enginethemes.com/ to post about the problem you’ve encountered. Our TS will be glad to assist you in solving it. i want to know how can i pay directly to the freelance at the time of the acceptance of the bid? You can deactivate the Escrow system so in this case, employer and freelancer will pay directly. In other words, the admin won’t involve the payment flow between them. If you have any other question, please drop us an email to support@enginethemes.com. I am looking for something to work in this way. Unfortunately, FRE theme does not work as an [Auction style website]. Your opinion sounds great. We also think of this and maybe a research will be started soon.